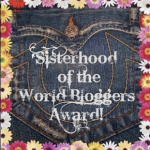 I am so honored to be nominated by two bloggers for for the Sisterhood of the World Bloggers Award!! Thanks to Kimberly L. Basinger-Coker of the blog http://makingthejourneyhome.wordpress.com/ AND http://fogandshadows.com/ for nominating me. 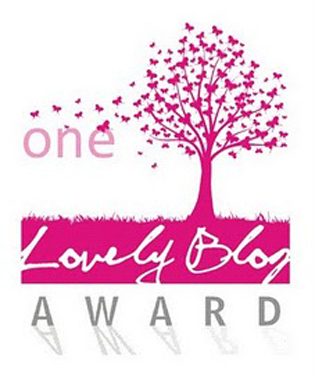 This award was inspired by the Sisterhood of Traveling pants and is an award for female bloggers to encourage the spirit of sisterhood. This means a lot to me and again I say thanks. 1. I am a believer, I love God, and I look forward to spending eternity in His presence. 2. I married my high school sweetheart, Joe. We were 18 years old and “head over hills in love”. 3. My husband and I have been married 32 years and are still “head over hills in love”!! 4. God blessed us with 3 wonderful sons. 5. I have Severe Fibromyalgia and really miss my old life. 6. My Fibro was so bad at one time that I spent 2 entire years in bed with extreme pain and fatigue. 7. I am “trying” to learn to live my new life to the fullest – sometimes it is very difficult. A big THANK YOU to NZ Cate of Infinite Sadness … or what? 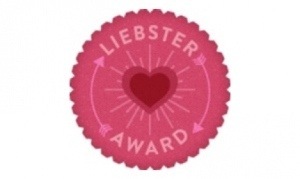 for nomonating me for the Liebster Award. This is a big encouragement to me to continue the work that I have started. I am a private person so it has been difficult to pour out my heart and be more transparent. This is a calling that I feel God has led me to so I can help others sufferring from a chronic illness.